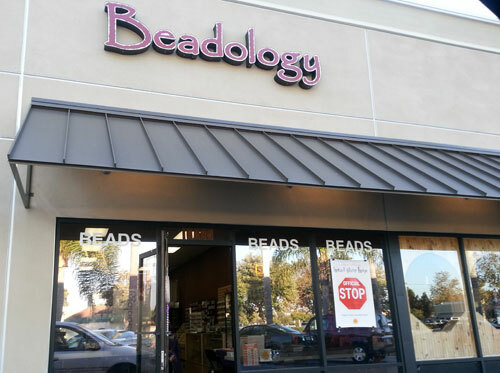 After the long drive from the San Fernando Valley, it actually seemed like a short hop from Bead Stop to Beadology in Huntington Beach. My pocketbook was quivering in fear. This was a store I hit two years ago, saw the AMAZING variety of lucite leaves and flowers and lost my marbles, leaving with a selection of nearly everything they offered. As fearful as that was, I was really looking forward to going back as I remembered the owners were some of the nicest people I have ever met as far as bead store owners go. I am happy to report this store has only gotten more AWESOME as far as their friendliness and variety of beads and findings. From the gorgeous, faceted cabochons in summer and autumn iridescence, to their new stashes of O beads and Super Duos, I nearly squeed when I found a Neon Cherry color and a mixed, dark neon AND bright neon mixes of duos! WHEE!!! Maybe it was the candy theme, but as I reviewed their stash of delicas beads, I was completely taken by some bright, luscious candy-colored Miyuki delicas in shades of purples and pinks! THEY HAD TO COME HOME WITH ME!!! Top – left to right – spring faceted lucite cabochons, Lava Red Czech O Beads, Neon Cherry Super Duo 2-Hole Beads. Middle – left to right – Autumn Glow faceted lucite cabochons, Miyuki Delica size 11 Seed Beads, Miyuki Delica size 15 Seed Beads, Bright Neon Mix Super Duo 2-Hole Beads. 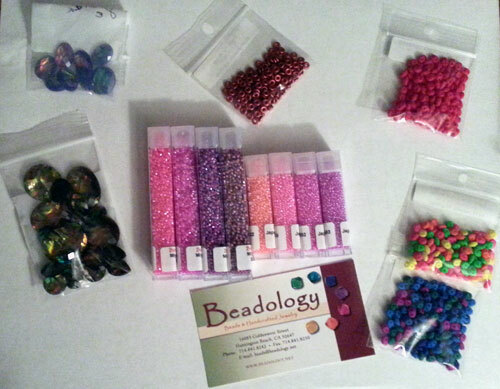 Bottom right – Dark Neon Mix Super Duo 2-Hole Beads. Oh man, is it going to be a BUSY beading day when I get to all these beads. 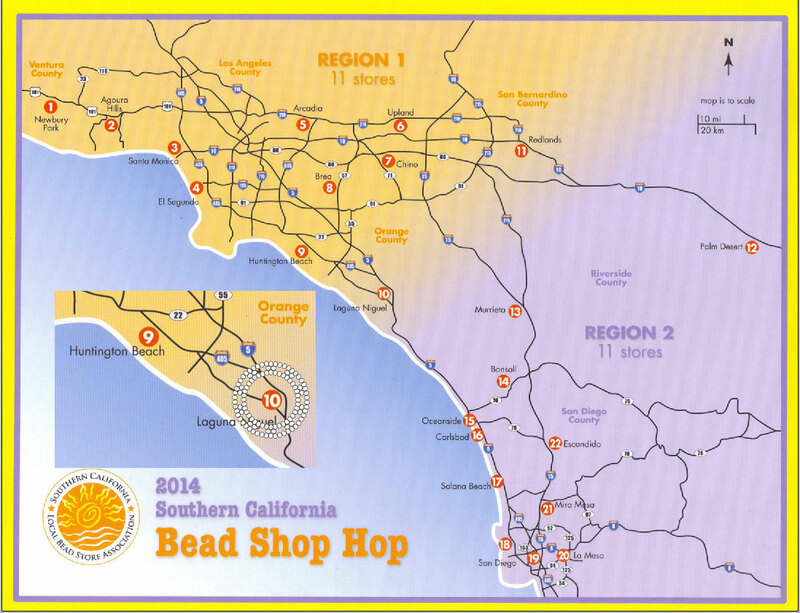 I think I need to start BEFORE the end of the Bead Shop Hop. YOUR pocketbook? You mean OUR pocketbook! You shouldn’t trust any bead store that says, “Hi little girl. Want some candy beads?” Beside, I can get you a candy bead necklace at CVS for a buck and a half.